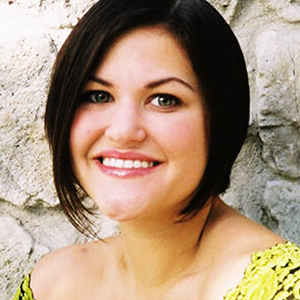 Audra received her BA in Psychology from Hawaii Pacific University in 2004. She has over 10 years of teaching experience with Jeanette Popp School of Dance, and has also instructed advanced jazz dance at Wright State University. She began her dance training with Jeanette Popp School of Dance, and furthered her dance education with Dayton Ballet School, Pontecorvo Ballet Studios, Ballet Met, University of Cincinnati-CCM, numerous dance studios in Hawaii and at the Broadway Dance Center in New York City. Her instruction and choreography has received regional and national acclaim. Together with her knowledge and passion for teaching, directing and choreographing, Audra is thrilled to continue in the footsteps of her mother, Jeanette Popp, by promoting excellence in dance training and education. Oliver Arana, was born in Lima, Peru and began his career as a principal dancer with the Ballet Municipal De Lima under the direction of Lucy Telge. He went on to work with Vicente Nebrada, at the Nacional Ballet De Caracas of Venezuela. He was invited to join the Ballet Classico De Camara, under the direction of Nina Novak where had the honor of alternating principal roles with Fernando Bujones and Carlos Acosta, and touring all of South America and parts of Europe. After coming to the United States in 1993, he joined The Bay Ballet Theatre as a principal dancer under the direction of Christopher Flemming, continued his career with the Cleveland San Jose Ballet, and then in 1998 Mr Arana joined The Cincinnati Ballet under the direction of Victoria Morgan. Oliver Arana Teacher and Director at NCYB 2006 – 2018 Awards and Achievements, YAGP Outstanding Teacher Award, YAGP Senior Grand Prix Denver, YAGP Youth Grand Prix Chicago, YAGP Many top 12 through the years, Cincinnati Overture Winners and finalists, World Ballet Competition Silver, Bronze medalist, NCYB students now dancing professionally at Norwegian National Ballet, Boston Ballet, Royal Ballet, Cincinnati Ballet MamLuft&Co. Dance. Students have received scholarships to Royal Ballet School London, Ballet West Academy, National Ballet of Canada, Indiana University, Houston Ballet II, American Ballet Theatre (JKO School), Munich Ballet Academy, University of South Carolina, Orlando Ballet School, Princess Grace Academy of Classical Dance, The Kirov Academy, Chautaugua, Boston Ballet School, Pacific Northwest Ballet School and Joffrey Ballet New York. Students have been accepted to La Scala Ballet Academy Milan, San Francisco Ballet School, School of American Ballet, and Pittsburgh Ballet Theatre School. Christiana began her training at JPSD. After finding her love for ballet she continued intense training at Dayton Ballet, Joffrey Ballet NY, Ballet Met, Boston Ballet and Pittsburgh Ballet Theatre where she studied for three years. Christiana has performed professionally with Dayton Ballet, Ballet Met, Pittsburgh Ballet Theatre and most recently with the Alabama Ballet 2003-2007. She has been trained in many styles of ballet and brings something special to her students. 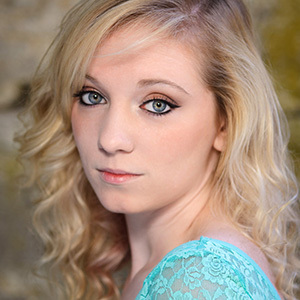 Kirsten is a graduate of Point Park University with a Bachelors of Arts in Dance. 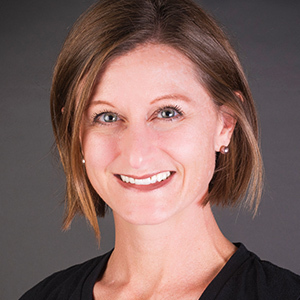 Along with teaching at Dayton Dance Conservatory, Kirsten has taught for Stivers High School, University of Dayton, Wright State University, ACDFA, Dayton Ballet School, Pontecorvo Ballet Studios and other dance studios in the Dayton and Cincinnati areas. Kirsten has danced with Mam-Luft and Company Dancers, and DCDC2. She has choreographed for Stivers Dance Ensemble, University of Dayton, Gem City Ballet, Miami Valley Schools, and Cedarville Community Theater. Ms. Fricke has also judged for Nexstar Dance Competitions and auditions future Point Park students every year for their summer dance intensive. 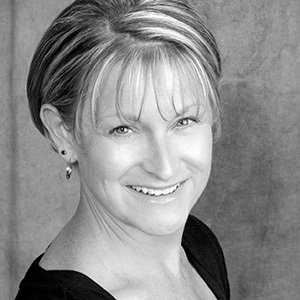 Stacy has over 25 years of teaching and performance experience. Stacy earned her BFA in Dance from Wright State University. She has choreographed over 50 musicals for Town Hall Theater in Centerville. She has also choreographed for Miami University, Beavercreek Community Theater, the Dayton Playhouse and high schools around the Dayton area. Some highlighted shows include Hair, Urinetown, State Fair, Joseph and the Amazing Technicolor Dreamcoat, Seussical, Bat Boy, The Rocky Horror Show. Anything Goes, All Shook Up, Willy Wonka, A Chorus Line and Hairspray to name a few. Chloe started at Jeanette Popp’s school of dance at age six. She developed a love for all the many styles and enthusiastically joined Jeanette’s artistic dance ensemble and the mini dugout dancers. At age fourteen, Chloe was asked to join Pontocorvo’s Gem City Ballet Company. She performed in a variety of ballets including Sleeping Beauty, Swan Lake, Serenade and Cinderella. She continued her dance education at Wright State University and received a BFA in performing arts. 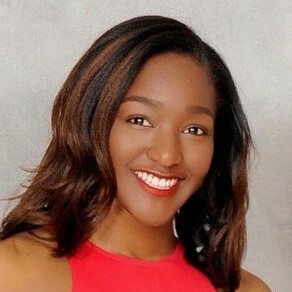 Crysten Moore received her BA in Public Relations from Howard University in 2018. Crysten has 10+ years of dance experience. She attended Stivers School for the Arts where she studied ballet, contemporary and modern, as well as gained choreographic and performance experience. Crysten danced with Chenaulte Dancers for 11 years and continued her dance training by joining her collegiate dance team. 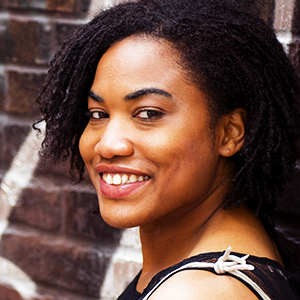 Crysten has been teaching jazz, hip-hop and contemporary classes for over 5 years and enjoys being able to share her love of dance with her students while fostering and developing their creativity, discipline, technical and performance skills. Jeanette has studied in New York with dance experts: Luigi, Joffrey Ballet School, Broadway Dance Center Faculty, studied Dance in college and authentic Hawaiian dance in Hawaii. Her students have studied dance in college, teach across the country, perform on cruise ships, join professional dance companies and compete in state and national pageants. She is an Adjunct Faculty in Tap Dance at Wright State University. Jeanette was inducted into the Huber Heights Performing Arts Hall of Fame in 2016. Mr. Robinson began his primary dance training in 1970 at the University of Alabama (Tuscaloosa) with Lou Wall in Graham technique and Phoebe Barr in Denishawn style. Resident guest artists in dance for that academic year included Betty Jones and Fritz Ludin, from the Jose Limon Company and Nicholas Gunn of the Paul Taylor Dance Company. In 1971, Mr. Robinson transferred to the University of Alabama in Birmingham (UAB) where he began his classical ballet studies in the Vaganova system with Stevan Grebel and Melanie Mihalic. As a member of Ballet UAB, he had the opportunity of performing a repertory of mixed programs and many full length ballets, most notably The Nutcracker, Giselle, Coppellia, Ben Stevenson's Cinderella, Raymonda Pas de Dix, George Balanchine's Serenade, La Sonambula, and Michel Fokine's Petrushka. 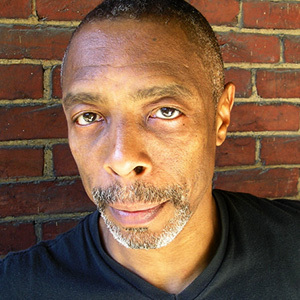 Mr. Robinson continued to perform with Ballet UAB and pursue his BFA through 1980. He joined Dayton Ballet in 1980 under artistic director Stuart Sebastian and performed with the Company as a principal dancer in a repertory that spanned from the classical canon to neoclassical and contemporary works. His further studies continued in New York City with Maggie Black and Marjorie Mussman. By the late '80's, he was named Ballet Master; then in 1993 he was appointed Artistic Associate for the company by Dermot Burke and his duties expanded to include co-directorship of Dayton Ballet II. As a resident choreographer for Dayton Ballet, Mr. Robinson has created many original works for the Company as well as other performing arts organizations including; Dayton Ballet II, Dayton Contemporary Dance Company, The Human Race Theatre Company, The Muse Machine, Dayton Opera, Miami University, Marygrove College, Victoria Theatre, Ohio Ballet and The Fraze Pavillion. His premiere works for Dayton Ballet through the years including Prokofiev Piano Concerto #2, Light, Paganini Variations, Mozartiana, Carmina Burana, Hot Riffs & Blue Notes, Luna, New Night, Corazon and new choreography for the full length productions of Christmas Carol, the Ballet, An American Cinderella, and America's Robin Hood have all received critical and artistic acclaim. Mr Robinson was the first to be awarded the Virginia Sebastian Award for Choreography, in 1986. In 1996, he received the Montgomery County Arts & Cultural District Bicentennial Impact Grant for his premiere work …A Time to Dance to join in the celebration of Dayton's 200 years. He was also a recipient for the Culture Works Artist Fellowship for the year 2000. He was honored with the 2002 Choo-San Goh Award for Choreography from the Choo-San Goh & H. Robert Magee Foundation for his work on America's Robin Hood. In 2008 his ballet Corazon earned a grant from the National Endowment for the Arts. Mr. Robinson has taught at BalletMet, Dayton Contemporary Dance Company, Ohio Ballet, Wright State University, Miami University, Marygrove College and the University of Idaho. 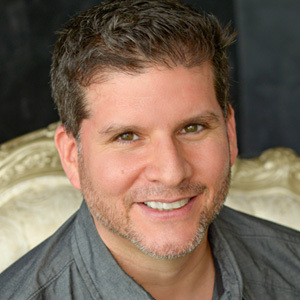 His participation in the Miami Valley Muse Machine's "in school" lecture demonstration series and his host/narration for the Dayton Ballet's annual Young Audience Programs have enlightened and entertained Miami Valley high school and elementary students for many years. He received a citation from State Senator Rhine D. McLin and was named a "Dayton Gem" by the Dayton Daily News for his work in the community as a performer and dance educator. Kandee hails from Flint, MI where she began studying tap dance under Alfred Bruce Bradley at Creative Expressions Dance Studio. As a part of the youth tap company, "Flintstone Hoofers," she performed in the Savion Glover's "Footnotes" tour in Detroit, St. Louis Tap Festival, Detroit Tap Festival, and the Human Rhythm Project. Kandee was also member of the Showtime at the Apollo winning act "Stepettes" with friends Alexandria and Frances Bradley. As an emerging artist, Kandee choreographed for and instructed at Troy Dance Connection where her works won several choreography and special awards. Since Kandee's 2004 relocation to Dayton, Ohio, she has continued to spread her love of tap dance through teaching, choreography and collaboration. She taught classes at the Ohio Dance Festival, instructed and organized tap workshops with the legendary Dianne Walker, and taught as adjunct instructor at Wright State University. Her passion for the enrichment and success of youth propelled her to direct the Dayton Tap Project, which included a dance program at East End Community Service, where she educated several under-served children in the art of tap dance. The event culminated with a joint tap dance showcase with children and renowned international tap dance guest artists which was quoted as being "an unbelievably entertaining and heartfelt evening." Other notable performances and credits include: Tap Extravaganza on Broadway, Judge at "For Tappers Only Dance Competition," and The Signature: A Poetic Medley Show which has also included artist such as Lupe Fiasco, the Roots Black Thought, and hip hop artist Common. Ashley, a native of Dayton, Ohio began her training at Dayton Ballet and South Dayton School of Dance. She received additional training at Central Pennsylvania Youth Ballet, The Rock School, Pittsburgh Youth Ballet, International Summer Dance, National Choreography Intensive, and Hubbard Street Dance Chicago. Ashley attended Point Park University, under the direction of Susan Stowe, where she worked with faculty and guest choreographers Darla Hoover, Margo Sappington, Christian Holder, Alan Hineline, Ron de Jesus, Doug Varone, Lynne Taylor-Corbett, and Ron Tassone. The highlight of her time at Point Park University was earning the opportunity to perform at Kennedy Center, where she was awarded Northeast Performer of the Year. Ashley danced professionally with both Atlanta Ballet and Dayton Ballet, and had the opportunity to perform principal roles in George Balanchine’s Serenade, Alan Hineline’s Thresholds, William Whitener’s Caprice, and Stuart Sebastian's Dracula. During the 2009 Regional Dance America Northeast Festival, Ashley received the Monticello Award for Best Emerging Choreographer and the Barbara Weisberger Award for Best Choreography for her piece Aloft. During the 2010 and 2011 RDA festivals she earned both the Project Tier Award, as well as the National Choreographic Award two years in a row for her pieces Sudden Impulse and Guerriere. Distinguished adjudicators chose four of her ballets to be presented at the 2012 National Festival in Montreal, Quebec. Since then Ashley was granted four additional National Choreographic Awards for her work throughout the Northeast and Pacific regions. 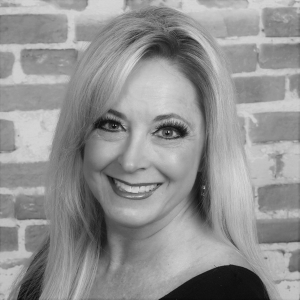 Shari has a degree in Performing Arts Management and Dance from Point Park College in Pittsburgh, PA and grew up in Schrader Youth Ballet Co. in Parkersburg, WV. She has many years of teaching and choreographing experience with a strong concentration in jazz. She most recently has spent six years with Mandalay Sports Entertainment as the VP of Entertainment and previously as the Director of Entertainment for Dayton Dragons Professional Baseball since 2001. Her performance credits include Royal Caribbean Cruises, Kings Island, Europa Park in Germany, movies Bob Roberts and Kingpin as well as shows in the Reno/Lake Tahoe area.